HQ Trivia has announced a special Oceans 8-inspired game will be held at 6pm PT/9pm ET on June 5th. Keeping in line with the upcoming heist film’s focus on eight women, the game will offer up a prize of $88,888 to those who can answer eight questions correctly. It’s currently unclear if any of film’s stars — which include Sandra Bullock, Cate Blanchett, Rihanna and Anne Hathaway — will be taking part in the game. Previously, Dwayne “The Rock” Johnson made a special appearance to run HQ Trivia in April with regular host Scott Rogowsky when his movie Rampage sponsored the game. Later that month, Academy Award winner Robert De Niro also made a cameo appearance in an afternoon game, although that wasn’t to promote any particular movie. Regardless of who appears, however, this still marks a much bigger jackpot than the usual $5,000 offered in weekday night HQ games. 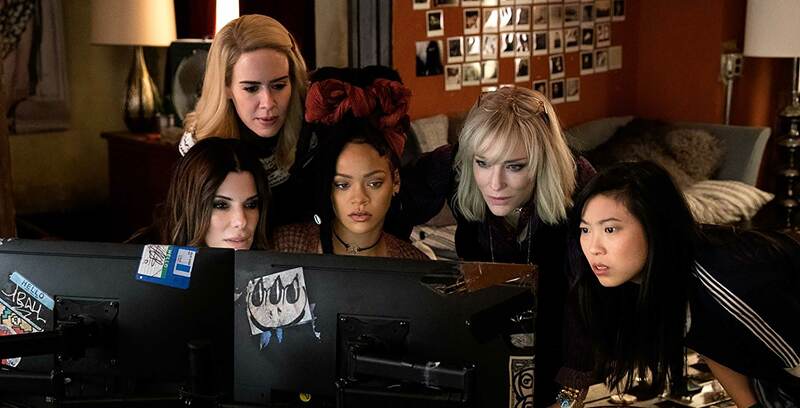 Ocean’s 8 will hit theatres on Friday, June 8th. Outside of the promotional movie tie-ins, HQ is also running a high prize series of games to coincide with the ongoing NBA Finals. So far, the game show has offered $100,000 and $200,000 prizes alongside the respective first and second games of the finals, while Wednesday’s 6pm PT/9pm ET game will offer a $300,000 jackpot. Should the championship series continue up to a seventh game, HQ Trivia will hold a record-breaking $700,000 round. All in all, that’s quite a lot of money up for grabs for those who want to get down to quizness.